Culinary Fusion Festival 2016 featuring San Diego Taiko – STRIVE, San Diego! Good Morning and Happy Wednesday! It’s been a while since we’ve updated you all about the upcoming 2016 SDAPI Culinary Fusion Festival, but we thank you for your constant support! Please visit our event page: https://www.facebook.com/events/213862438973164/ to let us know that you’re going! And now we would like to introduce you to one of our performers for the Culinary Fusion Festival, San Diego Taiko! San Diego Taiko is a close-knit, open-hearted group of individuals who are passionate about learning Japanese drumming, and find joy in sharing taiko through performance, practice, and community building. Community is our foundation. Intent, knowledge, and technique are our tools. Gratitude and honesty fuel our spirit. 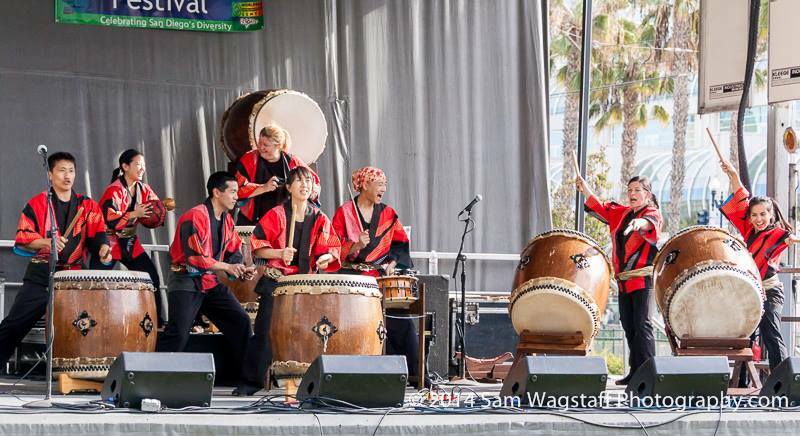 Founded in 2004, San Diego Taiko is based in the World Beat Center in Balboa Park. San Diego Taiko will be performing on Saturday, September 17th between 12:15 – 12:45 PM! If you participate in their act, you may just win a prize! Stay tuned for more updates and other exciting news!